A great step in managing inventory. 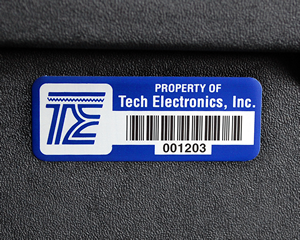 Choose your rectangular label template here, customize your text, colors, and numbering or barcoding system. You'll have a variety of materials to choose from, so you're sure to find exactly what you need!